Getting to Bantayan Island is not hard at all. You can have most of the convenient choices of land and water (and some air) transports of your preferences. For sure, you know why you want to see and experience this island, right? If you just happen to stumble upon this page and started scanning, let me say a little about Bantayan Island. 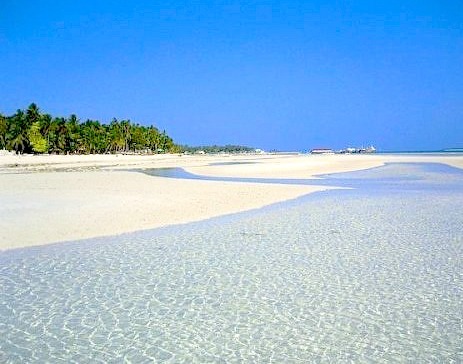 Bantayan Island is a very popular travel destination among locals, domestic and foreign visitors. One of the attractions of this island is its vast expanse of white sand beaches lined with coconut trees and its amazing pure and blue sea waters. I tell you that Bantayan Island is really worth your time and resources. So, let me start introducing you to the transports that will bring you there. 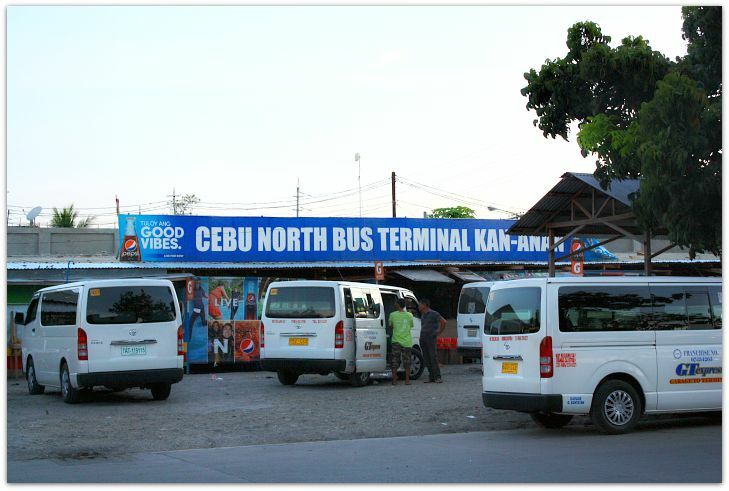 When getting to Bantayan Island, you can take a bus at North Bus Terminal in Cebu. You have choices of various bus companies with the usual two preferences: with air-con and non-aircon. I suggest that you take the air-con bus if you are new to the country (or is from a cooler country), especially during the hot season in the Philippines. This would help you adapt slowly to the tropical climate. However, if you wish to experience the tropical temperature, or has no problem at all with warm weather, just go ahead and take the non-aircon bus—which is, of course, cheaper than the air-con one. Usually, non-aircon buses make numerous stops along the way to drop off and take on passengers at some designated areas. On the other hand, aircon buses only stop few times, particularly at their terminals where you have a 5 or 10-minute time to visit the washroom or buy snacks and drinks. By the way, travelers are allowed to eat inside the bus while in motion. The time travel from Cebu’s North Bus Terminal to Hagnaya Port is around 3 hours (aircon bus fare is about 160 Pesos). It is at Hagnaya Port where you should take a ferry (or other smaller boats available - both public and private) for Santa Fe Port on Bantayan Island. On a daily basis, you can take the earliest bus that leaves at 4 AM, and the last trip is at 5 PM. 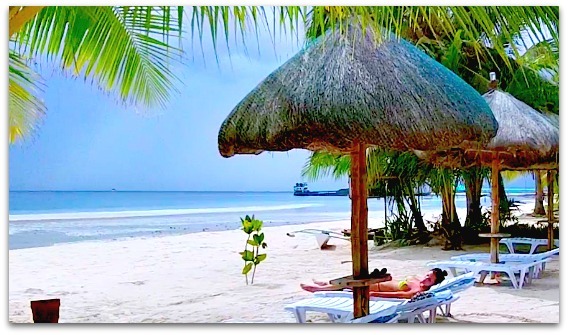 If you leave from the terminal at 7 AM, you will be on Bantayan Island at around 12 Noon - fantastic time to relax after the long trip while having lunch! Taxis in Cebu are also omnipresent but only second to the local and popular jeepneys. Anyway, taxis also take passengers down to Hagnaya Port. 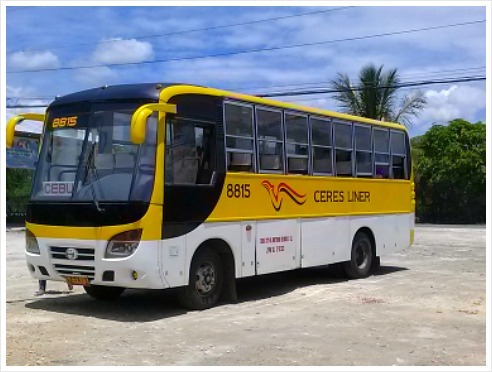 Certainly, it is a faster ride and quicker to get especially if you rush in getting to Bantayan Island from Cebu-Mactan International Airport. However, you should know beforehand the regular rate when deciding before hopping into one of them, that’s because they always want to get more. Make sure you deal with the driver first (not with a porter) and decide on the fare or decide to use the meter machine. The fare for a taxi ride from Cebu is from 2,000 Pesos to no more than 3,000 Pesos. Actually, if a taxi uses a meter (if they agree, which is unlikely—saying it is far and the fuel is expensive! ), you will only pay around 1,000 Pesos. 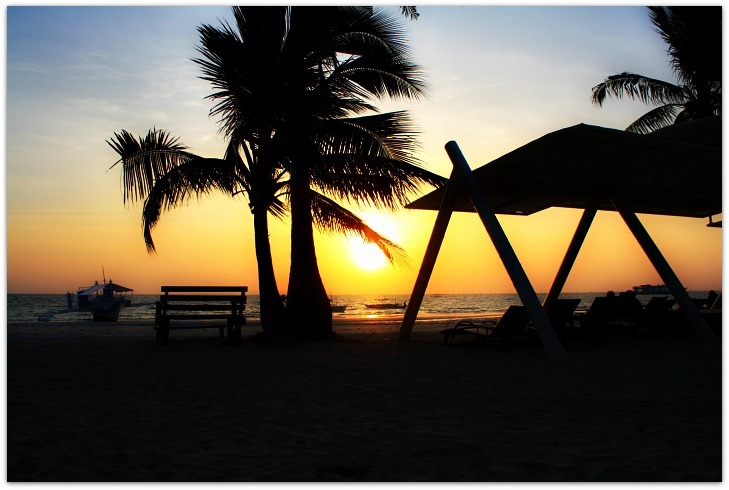 If you have booked a resort, you can request for a taxi pick-up service to make things a lot easier and less stressful. These taxis are larger than a sedan taxis but a bit smaller than full-size vans. It means that if you came as a group of 2 or 4, you will have more space for your luggage. This is more comfortable since you don’t have to worry about watching your luggage or checking out your final destination. The fare is around Php2,000 to 3,000. You can offer the driver a free lunch at a bus stop in Carmen, Cebu. With that fare, you don’t need to pay for the fuel and other possible expense. This is a public van where you can take at some terminals, such as SM City in Cebu or Lapu-Lapu City, among other places. V-Hires usually take 12 passengers and only leaves when it is full. It could be overcrowded and cramped, so it is not so advisable if you prefer a more spacious ride. If you want, you can hire the whole van for a ‘special trip’ anywhere in the province for your group. You can pay the driver from Php2,000 to Php3,000 (subject to change) depending on the van’s condition—brand new or older. Your skill in negotiations is necessary if you want to get a lower rate. At times, when you are lucky you can get a cheaper rate from vans or taxis that just dropped off a passenger in Hagnaya Port and heads back to Cebu—about half price compared when coming from Cebu City to Hagnaya Port. A pick-up could take up in any form depending on the company or resort you negotiated with. A resort can hire a taxi or van to pick you up at the airport or any particular point in Cebu. Some resorts (hotel) have their own private vehicles (taxi, van, mini-bus, etc) that can do the job. This is more hassle- or stress-free arrangement. Certainly, you can get a cheaper price if you take a bus from Cebu North Bus Terminal (get a taxi or jeepney to get you to this terminal) if you prefer. Air Island Tours offers charter flights to Bantayan Island. They offer cheaper rates and faster way to get there and spend your fantastic holidays on the island quicker. Check out the schedules, rates and more details on their website: www.airislandtour.com. You can avail their promos and they start their virgin flights to the island. Enjoy your travel and have a safe flight! Take a ferry for Santa Port on Bantayan Island that takes about 75 minutes. It will cost you around 170 pesos for this ferry ride. The ferry leaves at 7 AM from Hagnaya Port, and last trip at Santa Fe Port at 5 PM on a daily basis. If you missed the ferry, you can ask a private trip by smaller outrigger boat called ‘pump boat’ (because they use water pump machines to run their boats). Negotiate first before hopping in. Usually, foreign visitors pay more than locals do. You can also get to Bantayan Island if you are coming from San Ildefonso/Tacloban (in Leyte). You can take a boat from there to Bogo City in Cebu. From Bogo City you can go to Hagnaya Port by jeepney, bus or taxi. These links are also pages of Cebu Bluewaters website. So, feel safe and free to scan more pages that can help you. Thanks a lot for visiting this page and hope this helps. You may like or share this page if you find it helpful. Hope to see you again to discover more about Cebu Province, the Philippines. Have a great travel and holidays!